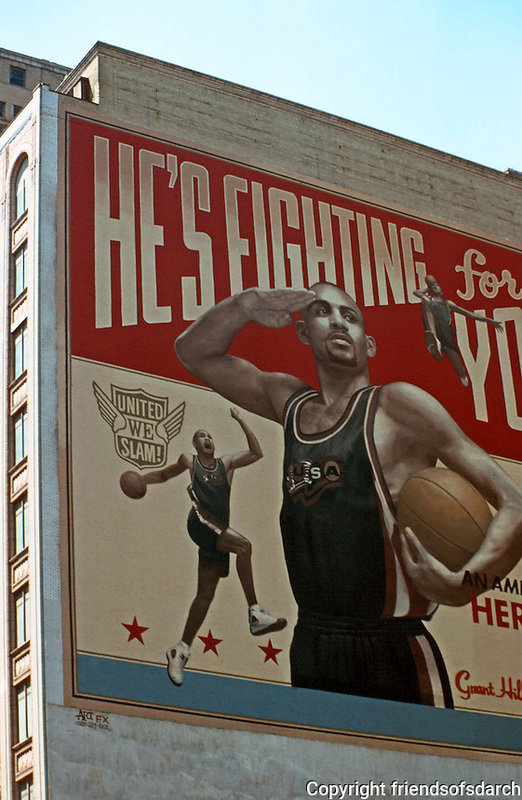 Detroit: "He's Fighting for You"--sign celebrating Grant Hill of Detroit Pistons. (A block away, another of Bernie Sanders of the Lions.) Photo '97.